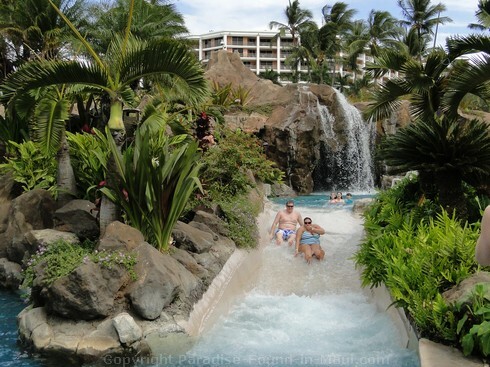 The Grand Wailea Hotel Pool - The Best Pool in Maui? 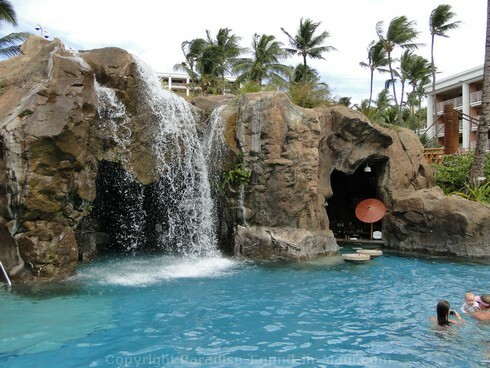 Looking for the Best Pool in Maui? 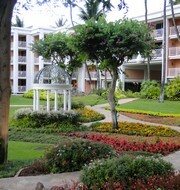 Check out the Grand Wailea Hotel! 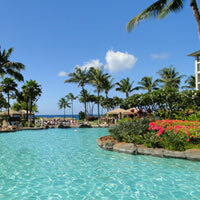 People always ask which resort has the best pool in Maui. 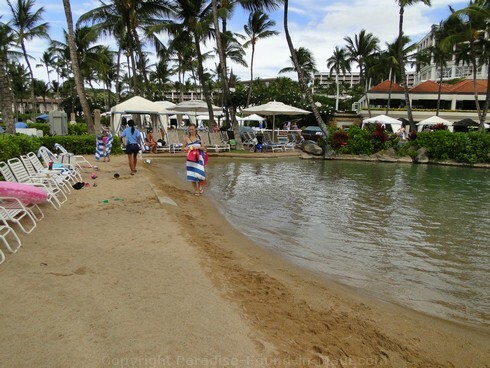 Without a doubt, the Grand Wailea Hotel could easily have THE best pool in Maui - for sure it's the ultimate in all of South Maui's resorts - I checked them out and no-one has a pool area that even comes close. Would you believe they have over NINE swimming pools? And believe me, they make very good use of them all! Their activity pool is freaking amazing. Seriously. You've gotta see it! 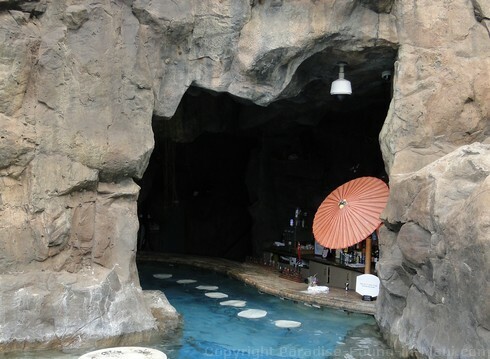 Its nine pools are connected by a series of waterslides, winding rivers and rapids that wind through stone grottos and jungle themes. It has six levels ranging from sea level all the way up to 40 feet high. Can you believe they've even made their very own man-made baby beach? Here, little ones can get that beach experience without any worries about being toppled over by a big wave. Very cool! 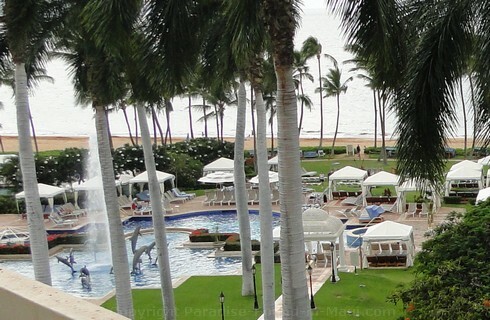 And that's not everything that makes the Grand Wailea Hotel's pool by far one of the best swimming pools in Maui. To be the best, there has to be more than just all kinds of bells and whistles for the adventurous. The Hibiscus pool, with it's beautiful hibiscus mosaic tile bottom, is almost 5000 square feet and reserved for adults only. You won't see kids tearing around here, no shrieks and hollers, no rowdy splashing about either... nothing but beauty and tranquility in the Maui sunshine. In the unlikely event that you catch a chill, there is a lovely adults-only jacuzzi here where you can relax to the sounds of bubbling water and the relaxing sounds of the distant surf. And of course, no swimming pool could possibly be the best if they left you with nothing but lounge chairs. Lounge chairs are fine and all, but what if you want to feel a bit more pampered? 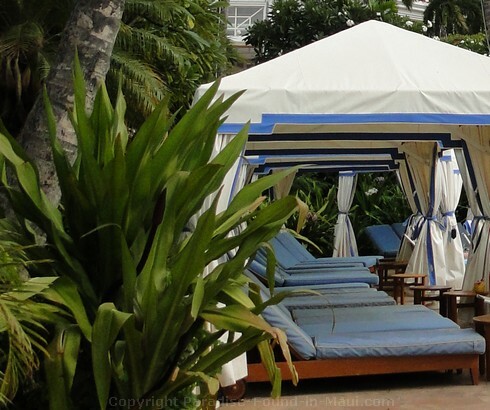 The luxurious cabanas at the Grand Wailea Hotel are sure to make you feel pampered. 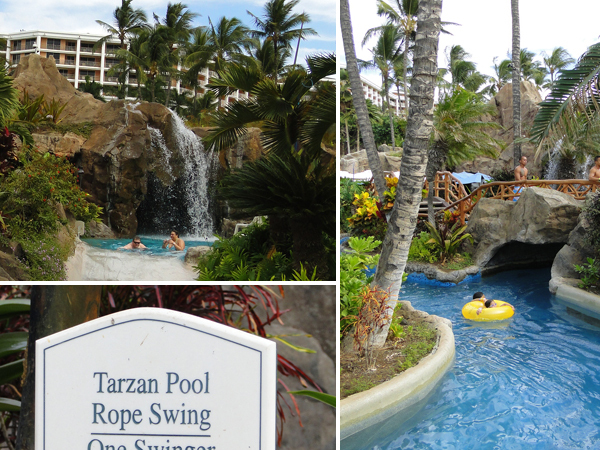 They are available both at the activity pool and at the adults-only Hibiscus Pool. 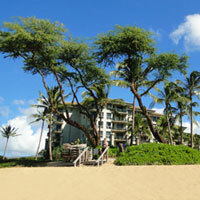 This award-winning property is a great choice if you want to be pampered and well taken care of on your Maui vacations! 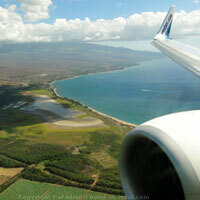 They offer great dining at on-site restuarants such as "Humu Humu" and world-class amenities, including the Spa Grande, the "Top Hotel Spa in Hawaii." And of course, the rooms and suites are beautiful!